Eeeek, this weekend I’ve been shopping! I usually can’t stand going into Brighton on a Saturday as it’s so busy but this time I was on a mission. I’ve been paid and have a little extra from selling some bits on eBay so decided to treat myself. Here is a quick peek of my shopping ‘haul’. I will be doing some individual reviews on the skincare products separately once I have tried the products, so watch this space! 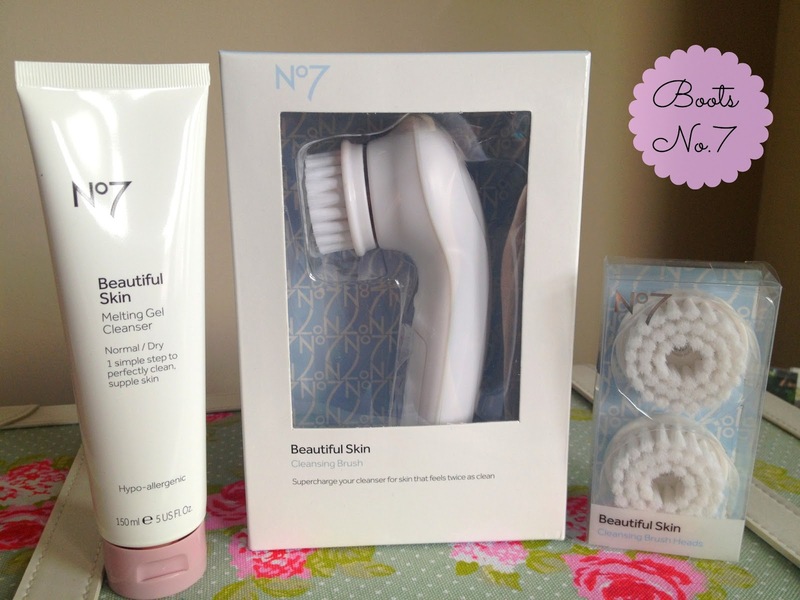 Boots No.7 Beautiful Skin Melting Gel Cleanser £9.00, No.7 Beautiful Skin Cleansing Brush – £24.95 and No.7 Cleansing Brush replacement heads £8.00. This is a product I’ve been wanting to get my mitts on for a loooongg time now, I had been looking into the Clarasonic, but just feel although it’s meant to be amazing, it’s just out of my price range at £100+. I’ve been scanning blogs and YouTube vids for reviews of similar products and saw this product everywhere. There is a real buzz around this skin brush as being the best ‘budget’ alternative, so I’m really looking forward to giving it a go. I will be reviewing this in a separate post in about a months time to give it a good amount of time to trial and look forward to reporting back my results. Also, at Boots at the moment, No.7 skincare is 3 for 2, and they are also doing their famous £5 off No.7 range vouchers, so for this bundle I should have paid £41.95, but with the 3 for 2 and the voucher I paid £28.95! If you are looking into a skin brush grab this NOW from Boots while the deals are on. 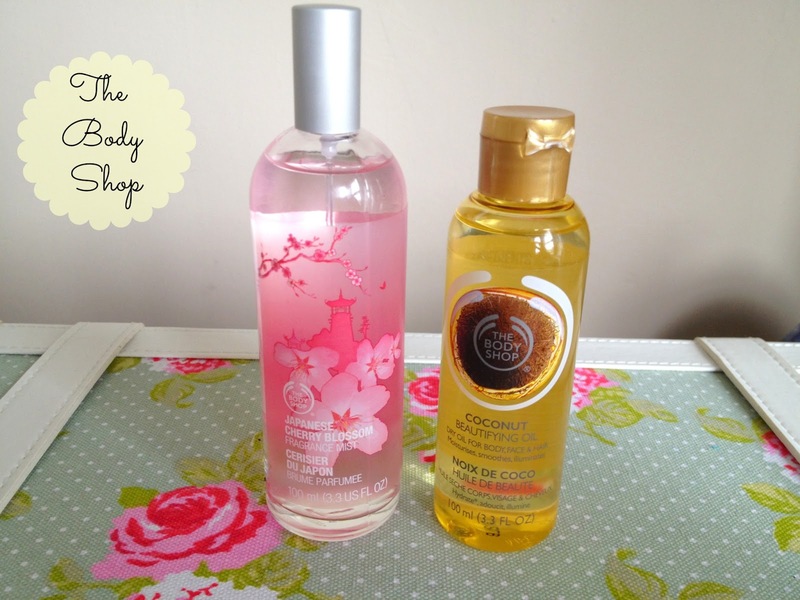 I picked up this Fragrance Mist from The Body Shop as I wanted a ‘daytime’ scent I can pop in my handbag and carry around with me. This is perfect as it’s light, sweet and summery. The fragrance is inspired by ‘a day in Kyoto’, which is lovely, I dream of going one day to see the cherry blossom season in Japan. I’ve been meaning to pick up some ‘beautifying oil’ for a while now, and fell in love with the tropical coconut scent as it reminds me of summer! This product can be used on the face, body and hair so it completely versatile, looking forward to giving it a go. Reviews of these products to come too. I finally got the bag everyones been talking about! After seeing Holly’s instagram of this little beauty I just had to get my hands on one for myself, I can’t believe it was only £10, an absolute bargain! Then as you can’t go into Primark and get just one thing I also picked up a purse and some cute earrings. 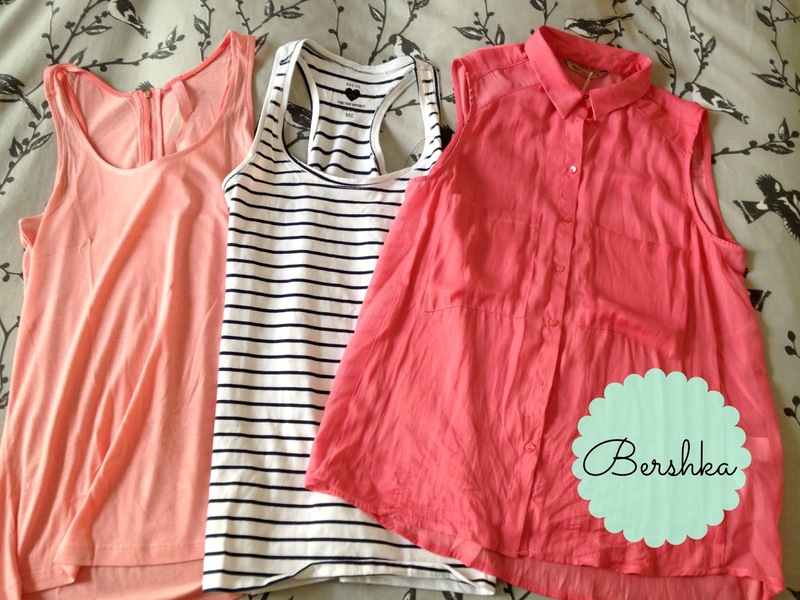 I hadn’t heard of Bershka before but they have just opened a new store in Brighton and I love it! Picked up some lovely new bits, and most of this was in the sale, bonus! 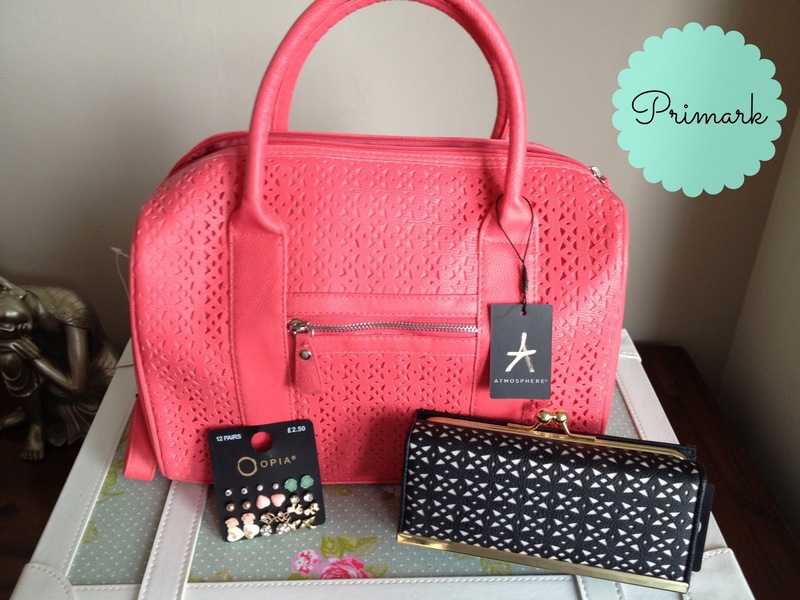 So, that was my summer shopping haul, I realised most things I bought today are corally pink, but never mind! I love that shade, it’s pretty and girly for the summer, I will never get bored of it! Did you pick up anything nice this weekend? Or have you tried any of these products?